I have been working in London quite a while now so I have been doing my best to try and explore it whenever I get the chance. I've been so pleased with how many places I've been to, and the memories I've made, but the one thing I've realised is that no matter how often I go out for food, there will always be somewhere else on my wish list. It's really nice because I often go somewhere after it's been recommended to me, and I've found that this means that i'm pretty much guaranteed to go to somewhere good. So to continue the recommendation thread, I've decided to create a new series on my blog called Let's eat! It would be so amazing if I shared information about a great place I've been to and then I get feedback from someone else saying how much they also loved it too. After all, that's what is so fantastic about the blogging community! 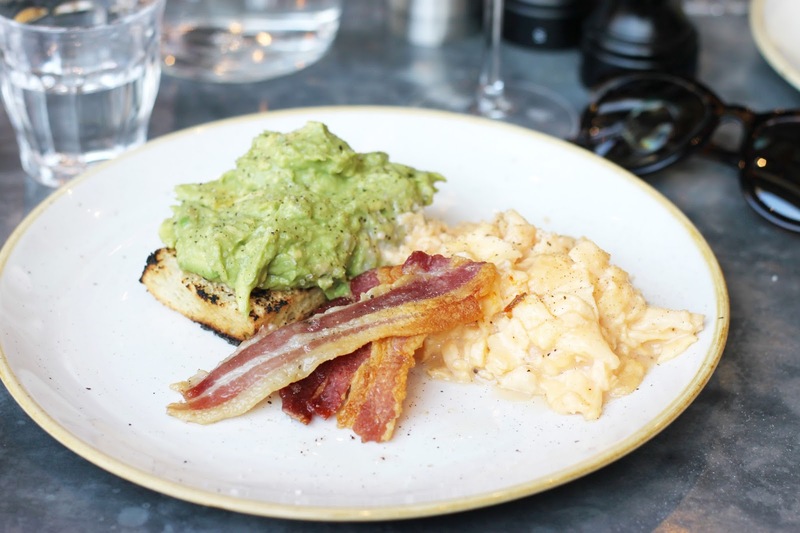 To kick off the series, I thought i'd tell you a little bit about Grain Store, King's Cross. 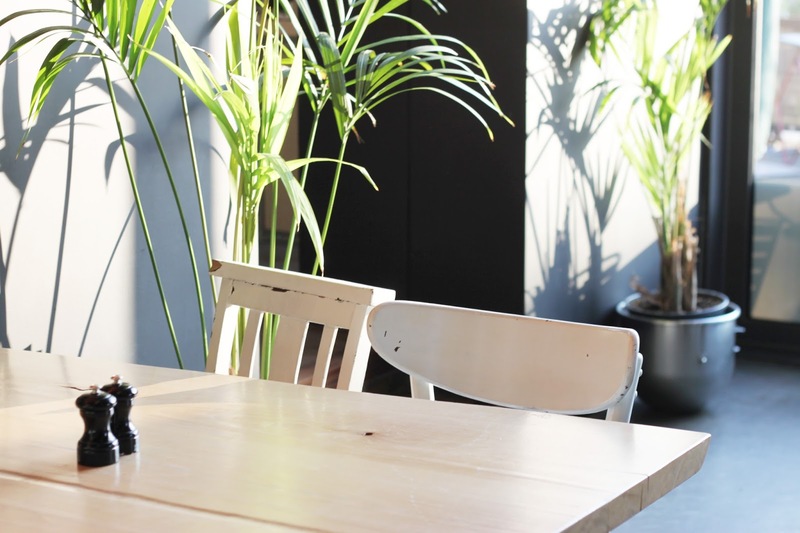 Based in an old warehouse, this restaurant has been imaginatively transformed into a modern, yet industrial space with eclectic designs and natural lighting. 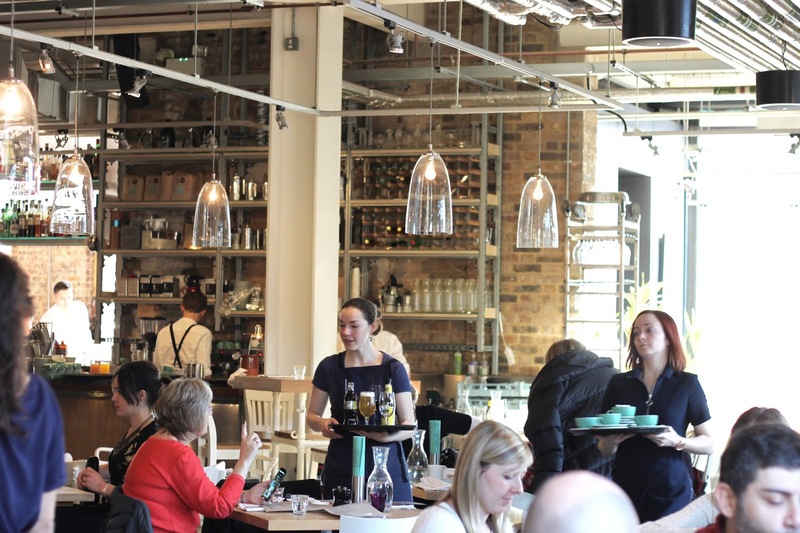 When you walk into Grain Store you feel an instant buzz in the air because of the big open space, busy staff and tables filled with chattering diners. The open kitchen also makes you feel a little like you're involved in the whole dining experience as you can hear the sounds of pots and pans moving around in the kitchen over the top of the soft jazz style music coming from the speakers. It has a very relaxed and friendly vibe and the waiter we had made us feel very welcome, despite the obvious madness from how many people they had in that day. Amazing how often this doesn't happen! I went for lunch with three of my friends as a belated birthday treat, and it definitely was that. Although some of the dishes were a little above my normal brunch price range, the dishes were inventive and filling. One of the things I really liked about their menu was that it was especially accommodating for vegans and vegetarians. Although I am neither of those things, I always like to see a good selection on offer in case I want to avoid meats. On this day I went for a crushed avocado on toast, scrambled eggs and bacon, with dukkah and basil oil, and i'm pleased to say that it tasted light and fresh. This is very unusual as my normal go-to brunch dishes often make me feel like I need a nap afterwards as I'm so full up. 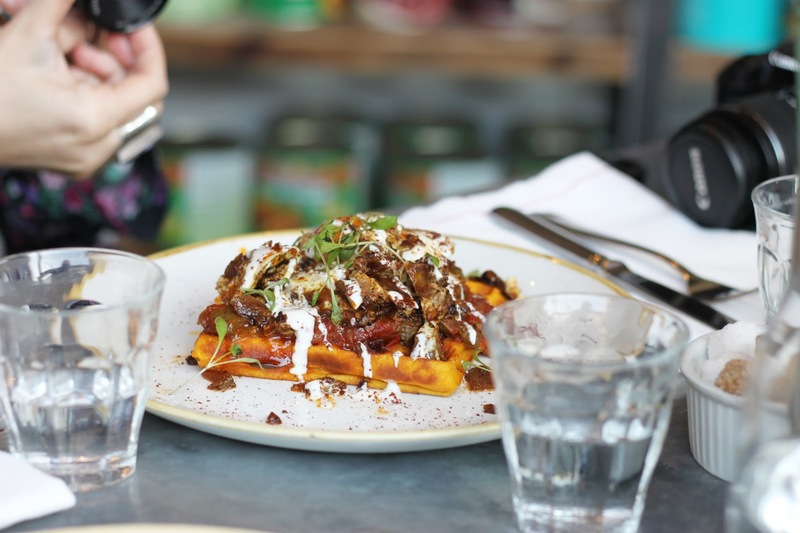 It isn't surprising that the dish was so light though because everything that passed us by was filled with colourful wholesome foods, so it's evident that chef Bruno Loubet sees seasonal vegetables and healthier options as a crucial element to a good meal. Safe to say, we had a lot of happy bloggers round the table. 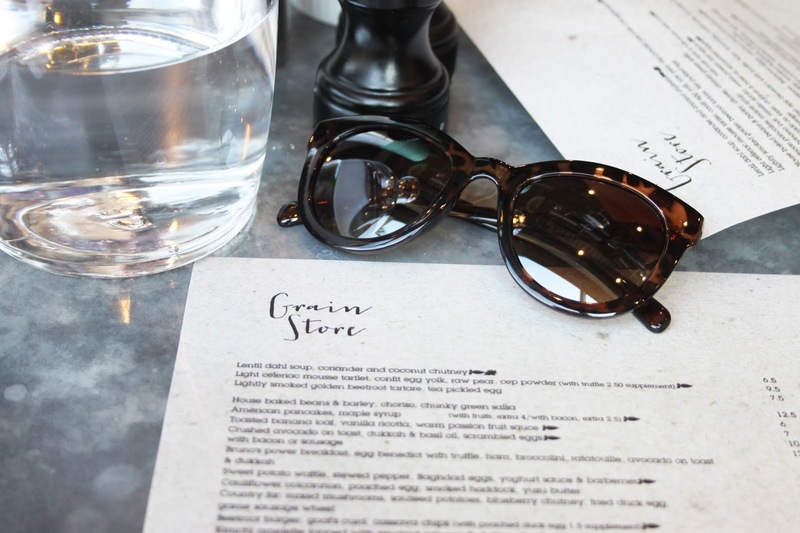 If you're looking for a place to go for a chilled drink, brunch or dinner (the menu looked yummy for that too), then i'd recommend Grain Store, King's Cross. 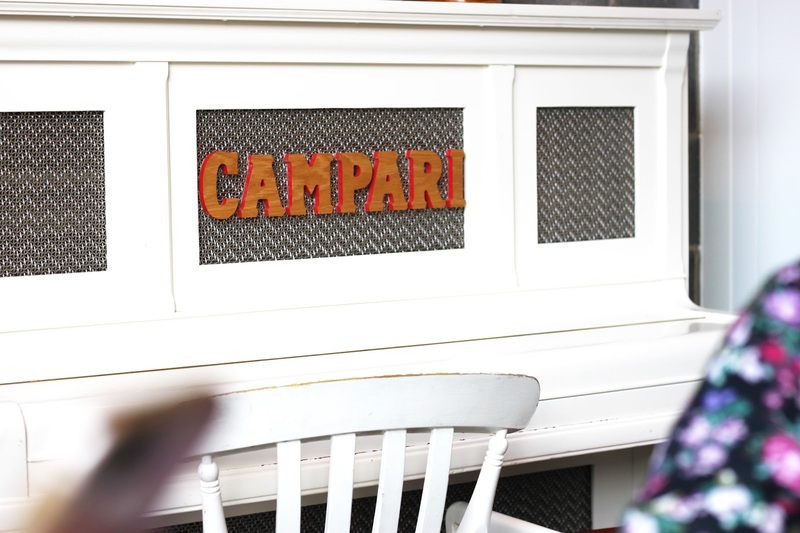 It is definitely one of those places you would have to plan a trip to as it does get very busy, but if you want a catch up with a special friend, or family member then I would suggest you head over and check it out. If you want to find out about more of the delicious places I've visited then keep an eye on my blog as I continue the Let's eat! series. Lots more to come soon!